The Leavitt Center for Politics and Public Service and the Career Center at Southern Utah University are launching the Professional Closet, a new campus resource for students. The organizations have identified a growing need for professional wear among students and want to educate individuals on appropriate attire for opportunities such as job interviews, internships, career fairs or networking events. 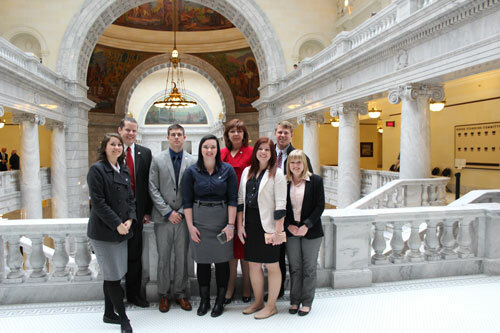 The new initiative was conceived by Donna Law, executive director for the Leavitt Center, during a trip to the state capitol. Law realized that students either didn’t know what to wear or did not have access to professional clothes. The goal of the Professional Closet is to give every student the opportunity to make a positive first impression when they enter the professional workplace. The closet can help give them an additional competitive edge. The Professional Closet is now accepting donations from faculty, staff and community members. When considering a donation, please make sure the item is clean, in good condition and professional. For those wishing to donate, items can be taken to the Leavitt Center (SC 112) or the Career Center (SC 204) at Southern Utah University. Operational details are still being finalized, but donated clothing will be available to borrow or purchase at a nominal fee. A grand opening fashion show for the Professional Closet will be held on January 27th at 12 p.m. in the Sterling Church Auditorium in the Student Center on SUU’s campus.